I love that rubon. What gorgeous colours you've used. I love the subtle pattern in the pp. Lovely. That rub on is lovely! That rubons is just gorgeous. 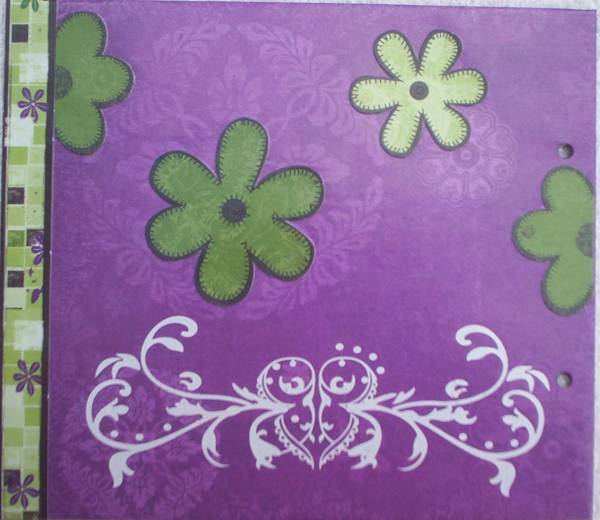 The flowers are adorable with their faux stitched edges! Love the purple and green combo!